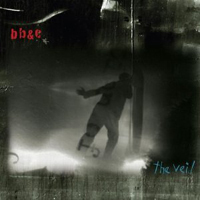 Recorded live at The Stone in New York City on a sweltering July evening in 2009, The Veil is the debut of BB&C (also known as The Sons of Champignon), an acronym for alto saxophonist Tim Berne, drummer Jim Black and guitarist Nels Clineveteran improvisers with a long history of collaboration. Cline first recorded with Berne in the early '80s, while Black was a member of Berne's revered '90s era Bloodcount quartet. Unfolding as a single uninterrupted long-form improvisation and encore, the date's indexing points and song-titles were created after the fact for convenience. Despite having no predetermined agenda or rehearsal, the set flows as seamlessly as if it were pre-composedsuch is the intuitive accord of these three veterans. The trio charges out of the gate with a visceral take-no-prisoners attitude on the appropriately titled "Railroaded," alternating spasmodic thickets of coruscating tone clusters, altissimo alto cries and a battery of muscular percussion with passages of testosterone-fueled furor closer to thrash metal than traditional jazz. Subsequent episodes trade caterwauling frenzy for aleatoric introspection, creating a spontaneous compositional arc that alternates lush volume pedal swells, hushed multiphonics and spectral electronics ("Momento") with interludes of monolithic power ("The Barbarella Syndrome"). Each of the members are band leaders in their own right; as such, Black serves as more than just the ensemble's rhythmic fulcrumhis stylistic percussion detours and laptop interjections provide subtle direction, focusing Berne and Cline's outré expressions into genre-specific territory, whether metal, funk or ambient. Black's dynamic modulations on "Rescue Her" demonstrate the drummer's stoic influence; his furiously shifting polyrhythms accelerate to a fevered pitch at the climax, inspiring a barrage of distorted power chords from Cline, whose kinetic fury amplifies Berne's keening motifs; the group congeals as one, ascending from deconstructed funk into cathartic bliss. Cline expertly applies an endless array of EFX in this volatile, ever-changing environment; waves of caustic feedback and surreal time-shifting delays amplify the concert's psychedelic ambience without overshadowing the dexterity of his blistering fretwork. 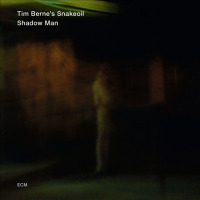 Berne adopts a similar approach, interweaving multiphonic cries with rigorously repeated linear refrains that provide an amalgam of textural abstraction and hypnotic rhythmic support. Throughout the album's 58 minute duration, Berne, Black and Cline evoke the raw beauty of urban modernism in an array of expressionistic paeans, from the acerbic salvos of the opener to the sublime rubato lyricism of the closing meditation "Tiny Moment." Employing a scintillating array of electric and acoustic tonalities, they compose an acid-etched portrait of distressed vistas seething with vitality, lifting the veil on man's enduring passion for technological reinvention in the face of inevitable entropy. 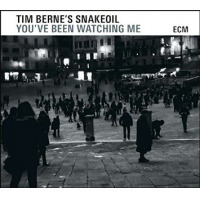 Visit Tim Berne, Jim Black and Nels Cline on the web. Track Listing: Railroaded; Impairment Posse; Momento; The Barbarella Syndrome; The Dawn of the Lawn; Rescue Her; The Veil; Tiny Moment (part 1); Tiny Moment (part 2). 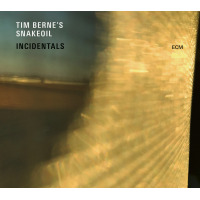 Personnel: Tim Berne: alto saxophone; Jim Black: drums, laptop; Nels Cline: guitar, effects.